Whatever age your child is, getting them to take a bath is never the easiest challenge. As they grow into teens, getting them to stay clean is a task in itself! It’s important for them to learn good cleaning habits from a young age. Therefore, having the right bathroom is essential. With the right bathroom items, your child will love bathtime and keep the routine as they grow older. Bathrooms can be a dangerous place for children. Wet, slippery surfaces do not always mix well with excitable toddlers. Your bathroom needs to be filled with a good mix of safe and fun items. Their routine should eliminate as many hazards as possible and keep them entertained. You’ll also need a few pampering essentials for yourself after the long day! Here are our top bathroom items. Thanks to Tatiana Vdb for the image. As you probably know, getting your toddler to sit still in the bath is an impossible task. You can keep them occupied with toys, but sooner or later they’ll be standing up. They’ll be clambering around, pretending they’re in a pirate ship, on a desert island, or on a stage performing for an audience! It only takes one slip to hit their head or twist a knee. Keep a slip mat in the bath at all times. Make sure there are mats outside the bath too. They should be around the sink and bath. These are all slippery surfaces with hard ceramic hazards. Your tolerance for heat is much higher than your child’s. You’ve had years to grow a thicker skin and become more accustomed to hot water. 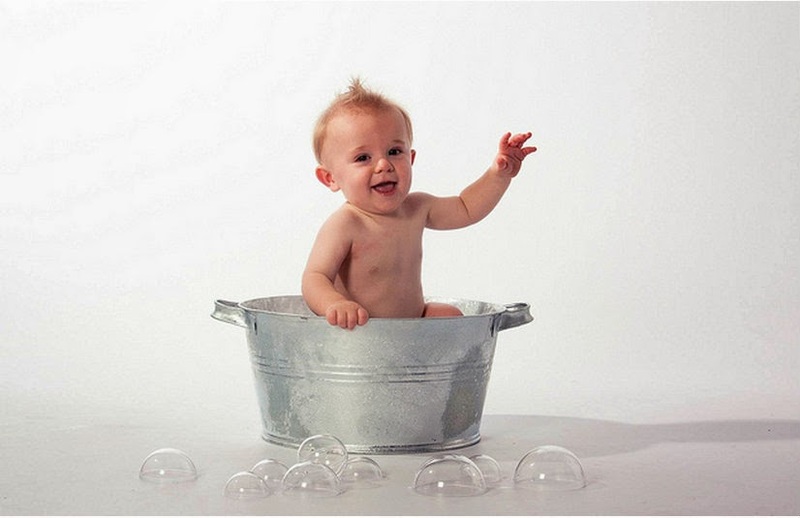 The temperature of your child’s bath should be around 37°C and 38°C. Use a special bath thermometer to measure this. Remember, the hot water from your tap can be up to 65°C. Don’t rely on instinct! You can now buy thermometers that double as bath toys which will keep them occupied too. Now to the fun things! Your children need regular baths. It will save you a lot of hassle if they enjoy them. Spending an extra half an hour every night dragging them into the bathroom will wear you out. Plus, you’ll have an unhappy child. Keep a stash of new toys at all times. Let them pick which ones they want for the bath. Try and make a story with the toys that extends over several nights. That way they’ll want to get back in and finish the story. It’s not all about the children. When they’re finally bathed and tucked up, take some time for yourself. Always keep some bubble bath and essential oils on hand. Have your own warm, fluffy towel that you can enjoy. Follow this link to learn how to care for towels and keep them at their best. Light a few candles and soak with your favorite book. After all that running around with the children, you earned it. Making sure the kids stay clean is essential. Keep them safe in the bathroom and let them have toys to make it entertaining. It will make your life easier and you can get them to bed faster. Then you can take the time for yourself.